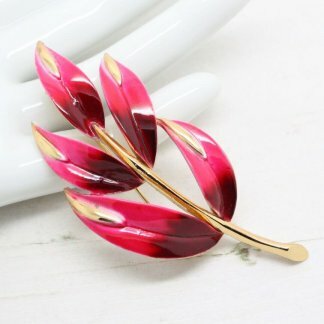 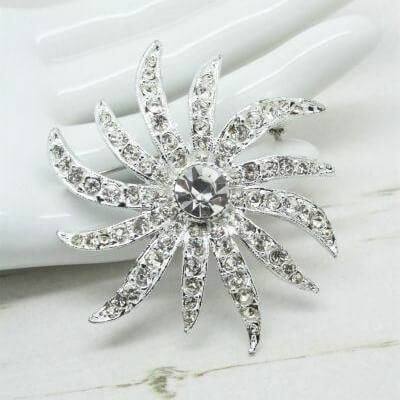 Description: This brooch has a fabulous design, simple and elegant, offering a glamorous vintage touch to any outfit. 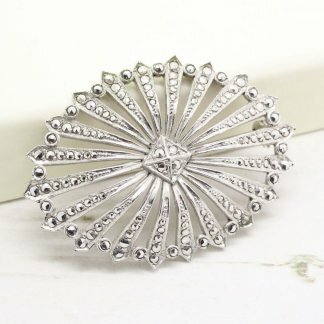 Featuring round bright shine ice white crystals in a silver plated setting, this brooch measures 5.2cm at widest point. 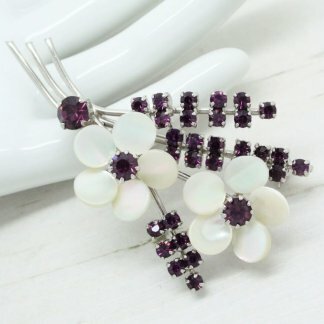 This brooch is suitable for special occasions – Think vintage bridal jewellery.